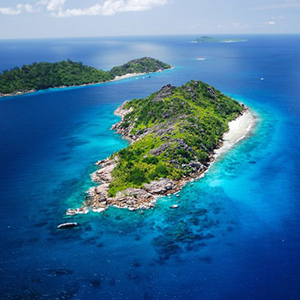 One of the best ways to discover Seychelles is to plan a trip with stays on multiple islands. We have compiled a few programs which allow you to enjoy every bit of this beautiful island nation. 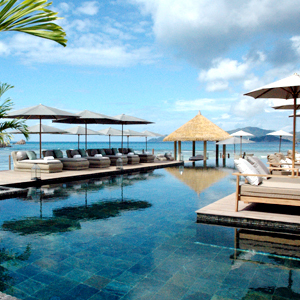 The island country of Seychelles is an ideal location for a honeymoon. The pristine beauty of the tropics welcomes newly-weds to explore in relative privacy and seclusion while being ensconced in luxury. 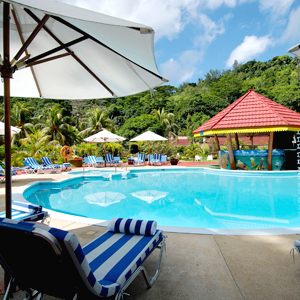 Many operators offer attractive Seychelles honeymoon packages in the beautiful hotels and resorts with quite a few freebies. 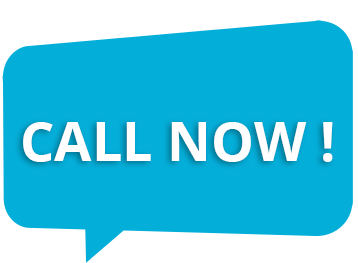 They take care of regulatory travel formalities, advise on options and help with any problems. Accommodations in boutique hotels with only a handful of rooms on small islands away from the crowds are popular, attracting even the rich and the famous of the world here. 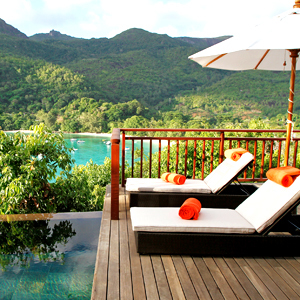 The best resorts in Seychelles for honeymooners entice guests to stay longer with infinity pools, outdoor bathrooms, a hot-tub on a hill top with breath-taking views of hills and the Indian Ocean in all directions, bicycle trips, hikes through the tropical nature reserves, delicious food, in-house grown fresh fruits and vegetables, and lots more.